Jump down through the awning. We're going to ignore all of the violence going on up here and take a quiet path through the instance. Bring your water strider? If you did, jump on and glide across the water to the bridge on the other side. You can make the swim without a strider but there's a 90% chance you get eaten by a shark which is an awful way to start a key. Slow Fall / Levitate work very well here too. If you don't have a water strider and prefer the safe way then take the tunnel behind you. You'll clear an extra pack but you only lose ~a minute compared to the strider. The trash up until the first boss in Siege of Boralus differs between factions. We'll cover Alliance first, then Horde, then the rest of the instance. Grab the Enforcer and pull it into the next trash pack. He has a frontal cleave. The Scrimshaw Gutters are harmless mobs that buff up the trash percentage in each pack. Just AoE them down. Key Interrupt: Watertight Shell (AoE damage reduction, AoE damage on expiry). The Powdershots will attack random players. They aren't particularly dangerous. There are two patrols here and we only want the left one. You can pull it with the pack to the left but it's a lot of damage. The Shredders will conjure red swirls for you to dodge. Take them seriously - they hurt. Stay spread five yards to counter the bombers and move quickly out of any tar patches. Lastly, the Packmaster / Dockhound pack will deal hugely increased damage while both are alive so prioritize killing the dog quickly. That actually hurts to say. The Irontide Raider has a dangerous cast called Savage Tempest. You need to move away from him when he starts the cast since it's a small-radius AoE. He'll also hook in random players. This pack can be a little tough on Fortified weeks so feel free to use DPS cooldowns here. You won't need them for the boss. Alright, Horde up until the first boss next. The Kul Tiran Halberd has a frontal cleave. Face him away from the party. You'll find another one patrolling up and down the bridge. Pull him when you see him and AoE everything down. 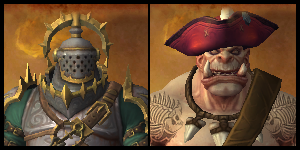 The Kul Tiran Footman are harmless (but be careful of their low health pools on Bolstering weeks). The Marksman will attack random players. They aren't particularly dangerous. This pack does so little your healer could solo the four of them. Test it later, we're on a timer here. There's quite a lot going on here so you're going to prioritize the Wavetender and keep it interrupted. Keep the Halberd facing away from the party. Once they're dead, pull the mobs that are fighting each other in the corridor ahead. 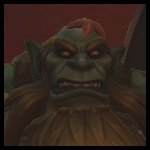 The Kul Tiran Vanguard has a dangerous cast called Savage Tempest. You need to move away from him when he starts the cast since it's a small-radius AoE. He'll also hook in random players. This pack can be a little tough on Fortified weeks so feel free to use DPS cooldowns here. You won't need them for the boss. The marauders are another harmless mob. Horde can avoid the patrolling Commander pack by pulling mobs backwards and then sticking hard right. Alliance will need to clear it. The Commander has a charge ability called Trample that'll target a random player and then stun everyone hit. Watch where he's facing and move to the side. The targeted player can dodge it too. Sneak around the right hand side to avoid the Raider (and if Horde, the Commander pack). When you approach the mobs at the end of the walkway will start firing. Have everyone but one person hide behind the barrels to the right. Send your tank or a high-mobility DPS with a defensive down the pathway to aggro the mobs at the end. You can also wait for them to stop and walk down as a party but we're on a timer here. These are easy trash percentage. We're going to Shroud / Invis pot skip this pack. Walk to the spot shown on the boat, pop your invisibility and walk behind the pack on the bridge. This isn't a tight skip at all so take as much time as you need. Juicy pack. If you have a long root effect like Entangling Roots then cast it on the Ashvane Spotter. We don't want him to be fully CC'd, just unable to move. He'll call down cannon barrages on a player that'll leave big circles around them that explode a few seconds later. These circles actually damage the enemy mobs as well so the targeted player can run through the trash pack and save you a substantial amount of time. The Spotter will jump back if not slowed or snared so if you don't have the root then at least keep him slowed. This is the same game as last time, except this time the mobs at the end of the firing range will run away when approached. Don't worry - you'll get a chance to kill them later in the instance. Same strategy as last time - send the tank or a high-mobility DPS up the ramp and have everyone else follow when the firing stops. - Crushing Slam will fire a long-range projectile in front of the mob. It'll kill you on a decent key so be nowhere near the front of the mob. - Terrifying Roar is an uninterruptable AoE fear that can be line of sighted or outranged (30 yards). We need to talk about something. There are bananas scattered all over the zone. If you stand on one you'll get stunned for a few seconds and feel pretty stupid but it happens to the best of us. Watch carefully where you're walking and take the path of least.... bananas. The Pillagers have a frontal cleave. The tank will need to face them away from the party. If you're alliance then exterminate the last few chimps here. If you need a motive, pretend they're that one raider on your team that just can't seem to dodge Flames of Punishment. The Snipers target random party members and they like to all pick the same one and string them up. 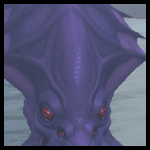 If they're giving you the stink eye pop your defensive to buy your healer more time to get you through it. The Spotter is identical to the one fought earlier, and you can use the same trick with their bombing circles to kill the snipers. The boss will patrol clockwise around the room. Accidentally pull him? Run out and he'll despawn. HOWEVER, pulling him also pulls all trash in his room and they won'tdespawn so avoid getting too close. Pull the trash a pack at a time out the gate where you came from to avoid any accidents. You'll have to dodge a bombing run when you're running down toward the last boss. The blue swirls hit quickly and they'll one shot you on higher keys. This is worse than slipping on a banana so take your time. Any mobs you kill this way need to be tagged with a damage spell or you won’t get any credit. The circles won’t damage bosses, but they do hit boss adds including the Cannoneer and Deckhand on Lockwood and all Tentacles on Viq’Goth. The damage scales with Bolstering stacks. That’s right. You can bolster a Spotter to 10+ stacks and use the shots to insta-nuke any mob you come across. There’s a key to doing this right. The Spotter still melee attacks and with that many bolster stacks your tank will melt as quickly as the trash. You can counter this by keeping the mob rooted at all times. She’ll still cast her big blue circles from afar. You’ll kite the boss into bombs. This entire instance actually has a thing for making mobs die to each other instead of to you. The boss will spend most of the fight chasing around a randomly selected ranged player (this can include the healer if they’re not a Mistweaver Monk or Holy Paladin). Your goal is to kite them into the big bombs on the ground. You can tell which circles are going to leave a bomb by whether they’re filled or empty. If you don’t kite the boss into the bombs then they’ll explode for ultra high party-wide damage. If you’ve made a few mistakes and there’s no chance of getting the boss to a bomb then you’re better off having a party member pop all defensives and throw themselves onto the bomb. God that’s heroic. Obvious Dodge: The big swirling Gore Crash AoE around the boss. This is a flat one shot if you’re hit and it’ll always follow a Meat Hook cast (which you’ll want to dodge). This is a pretty heavy add fight and they’re vulnerable to most kinds of CC so the best strategy is to organize an order and keep them out of the fight as long as possible. Powdershots ping random allies for heavy single target damage. Cleavers do a large line AoE ability that will one shot you on reasonably high keys. Dread Captain is a pretty badass title. I’m stealing it. Every time Lockwood reaches 100 energy she’ll return to her ship and you’ll be flanked by three adds: a Cannoneer and two Deckhands. 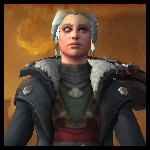 Your DPS should 100% be focusing on dropping the cannoneer first. Don’t even stop to multi-DoT the deckhands. As soon as he’s dead you can pick up the cannon and use it to bring the boss back to the fight. Not only does this shorten the phase (and the entire fight) but it also reduces the chance that anyone dies to the numerous Dread Volley swirls. It takes the boss ~35 seconds to reach 100 energy but she’ll cheat and start around 75%. Aim to kill it in as few phases as possible because the intermissions really chew up your instance timer. The boss has a nasty frontal cleave called Clear the Deck. It has a three second cast time and the tank can dodge it too. Don’t stand in front of the boss. Cheese: If you CC the Deckhands before they leave the ship they’ll bug out and you won’t have to deal with them again for the rest of the fight. The boss with three total mechanics. A taste of WoW Classic. This is a straightforward fight strategically but he has a huge health pool so optimizing DPS is key. Tank: Face the boss away from the party. During the Crashing Tide cast sidestep and stand to the left or right of the frost path. Continue to do this until the Tidal Surge cast (the huge wave). DPS and Healer: Avoid the blue swirlies. These will also leave frost patches that match the Crashing Tide path. Your positioning doesn’t matter too much but avoid sitting next to the statue in the middle since you’ll need this to avoid the Tidal Surge and you don’t want to be wading through frost puddles when you do so. During the big wave: Hug the pillar on the side opposite the wave. It’s a one shot if you get hit so prioritize this over everything (even refreshing DoTs). Like a fancy modern day Lurker. Kill Demolishing Terrors first. If you’re slow then you’ll end up with multiple and that’s really bad news for you because they’ll deal heavy AoE damage if nobody is in melee range. Multi-DoT Gripping Terrors and swap to them in between Demolishers. When they die the engineer inside will repair the cannon and you’ll use that to kill the boss (over three shots / platforms). Take care when walking across the bridges between platforms. When the debuff expires or is dispelled it’ll knock back everyone nearby. It shouldn’t be a problem but just be aware of it (and as a healer don’t dispel it until you’re safe on the platform). Obvious Dodge: The big blue swirls. When you make it to the ship you can stand on the upper decks to avoid them entirely. Healer: Dread Captain Voulk recommends dispelling the longest remaining Putrid Waters cast whenever your dispel comes off cooldown. It’s much more efficient to remove that damage from the fight instead of trying to heal through it. You’ll have multiple out at a time frequently so dispel on cooldown and keep the other alive. That and the tank are the only targets that should need healing.